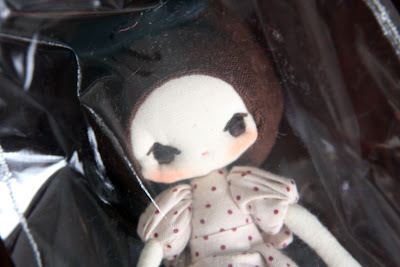 Since I came into the world of doll making, I have fallen in love. I see so many talented doll makers out there, and I want to collect them all. 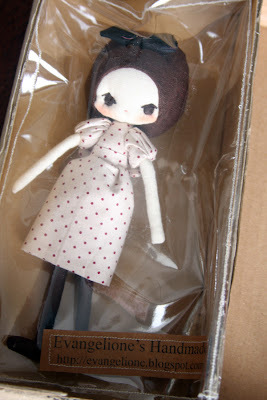 I just collected a new doll, and I am SO smitten by her, so much in fact, she still sits in the box and bag she came in. She is from the highly talented work of Evangelione shop and her blog is here. 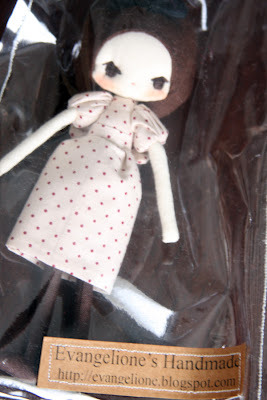 I am not sure if I would have found her, had it not been for Fallon of SweetFancy. She was lucky enough to win one. When I saw the doll, I knew I must have one. Not in an envious you have one, I want one way (luckily I have never been that kind of person…or who knows what I would have collected) but in a THAT is TALENT kind of way. I don’t even have a lot of words to describe her talent, just take a look at a few images of her work and see for yourself. 7 comments - join the party! 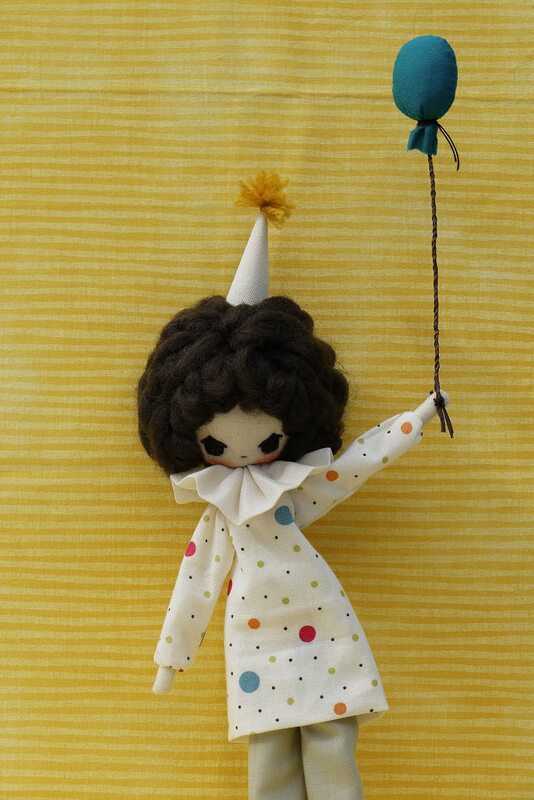 I am coveting that clown doll. 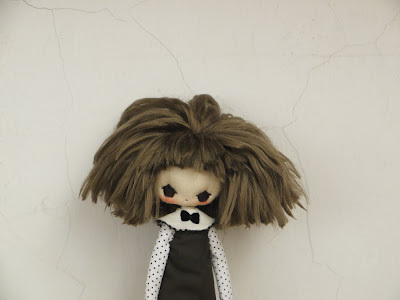 Although the one with the big hair reminds me of myself when I was younger (puberty made my hair go wild!). That bunny is fabulous! Almost looks like someone dressed up standing there! 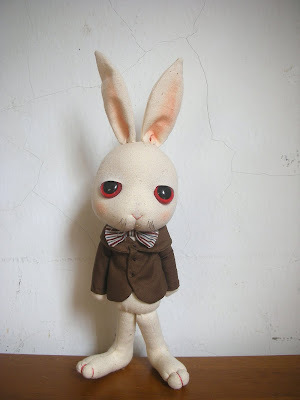 I love the bunny, so serious. Oh, that doll is wonderful and that bunny!!!! WOW!!! !